This workshop is an offshoot from the popular ‘Rags to Riches’. It borrows one of the techniques used in that class to create a stunning, embroidered textile piece. 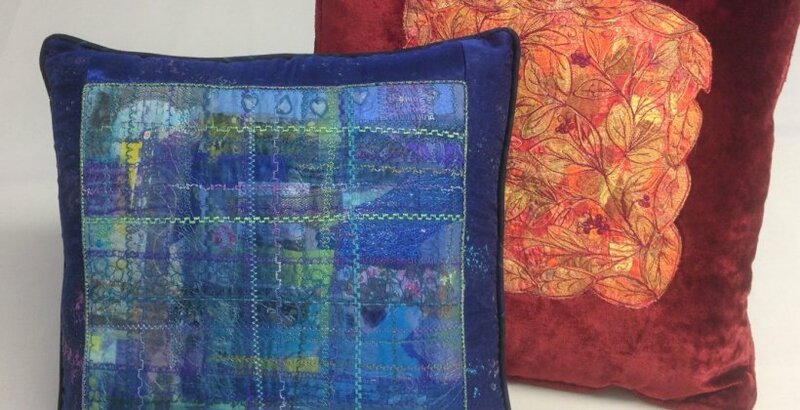 Then you have the opportunity to make your gorgeous embellished panel into a cushion, using either the ‘envelope’ method, or to add a zip closure.